The treat of this season's Central Park SummerStage the marvelous Molissa Fenley. The prospect of her performance would be no less desirable if she were simply to present pieces from her vast solo repertory, but Fenley's not taking the easy way out. This Friday, the choreographer much admired for her idiosyncratic, fresh movement and spatially inspired dances premieres two poetic works--La Muse Menagere and On the Other Ocean. 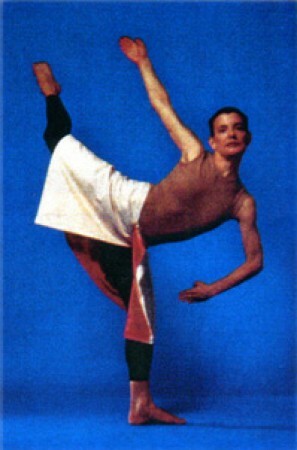 Fenley has carved special niche in the contemporary modern-dance scene. At 43, she's overcome obstacles--no one will forget the times she collapsed on the Joyce's stage more than three years ago, suffering a serious knee injury--but her name still resonates throughout the dance world because of the consistency, creativity and diversity of her work. Her one-off SummerStage program is proof. It's as original as what she would feature in one of her weeklong Joyce seasons. La Muse Menagere, a comission by Mills College (her alma mater, in Oakland, California) for its Darius Milhaud retrospective this September, is set to a piano score of the same name by Millhaud. Consisting of 15 short pieces, the music was composed in 1944 while Milhaud was at Mills. "First I would hear what the music was for the particular section: Was it up and energetic, was it rhythmic, was it a slower piece?" Fenley explains. "Then, I would think of that in terms of a textural quality and make a dance exactly to the clock. I was very interested in having the dance and the music be parallel, without letting the music dictate the dancing. But in a funny way, they both sort of dictate each other." While La Muse features 15 miniature beginnings and ends to correspond with the music, On the Other Ocean is set to a soaring score by David Behrman that focuses on a mysterious, otherwordly place. The trademark movement is elegant and restrained; at one point, Fenley shifts from attitude into arabesque, her arms splayed backward, her palms curved and fingers touching. It's also a large piece; Fenley not only covers all four corners of the stage but also moves with greater speed than usual. "It's set somewhere unknown, a faraway, exotic land," she muses. "Than, to me, is what that piece is about, I was teaching it last year at the American Dance Festival, and one of my students said she felt that it had a georgraphical feeling--like a queen surveying her land." That summation could be used to describe Fenley herself. For the past 20 years, she's been a hugely dominant presence in the dance world. She formed her own company in 1977, disbanding it in ten years later to devote herself to solo work. But despite her perseverance and success, survival in her chosen field hasn't always been easy. "How do I do it?" she asks, laughing. "With absolute dedication and great humor. But I find myself getting more and more angry all the time. The money thing, of course, is a problem. What I make compared to what someone makes in a developing country is, like, so astronomical, I might as well be a queen. but what I make compared to what most people make at my age as a businesswoman--I may as well be in a developing country!" Fenley says that it's almost impossible to be an independent artist in the U.S. While she has no desire to start another company, she's anxious to devote more time to choreographing group works. Next year, she'll have that opportunity at Mills College, where she'll participate in a five-month residency. "I'm going to have a studio every day, dancers at my disposal and a theater," she says. "I think the idea is to realize that, geographically, we have to move. We can't just stay in New York and wait for the phone to ring." Despite her own struggle to keep presenting work, she knows that it's even worse for contemporary dancers. "I know plenty of people in the administrative world who are making 20 times more than the dancers. That, to me, is disgusting. Their life is based on dancers, and the dancers are the ones who pay for everything. It's like this bizarre tragedy." But Fenley still feels lucky: "I have personal autonomy. When I get up in the morning, I don't answer to anybody but myself--to my own dedication, my own discipline. There isn't anybody telling me what to do. I am completely a free agent. But I think that one pays for that freedom in this world."